Omaha Steaks Deal – 3 Options – PERFECT for Grilling!! 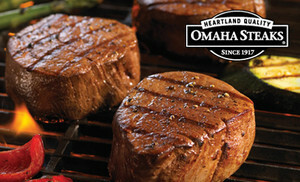 With all of this nice weather going on, this Omaha Steaks deal is perfect for meal time! And shipping is included. These packs make great gifts as well.